Melville, N.Y. — Handling and securing digital files can be a complicated and rigorous process; one that can cause delays to a project due to a simple wrong click. To help alleviate these concerns and provide users with a more efficient operation, Canon U.S.A., Inc. announced that its imagePROGRAF TX Series large format devices are now compatible with certain software solutions from eQuorum, a provider of engineering document management systems. This combination is designed to meet the needs of those in the architecture, engineering and construction fields, as well as users who deal with large format technical documents in manufacturing, facilities management and utilities. 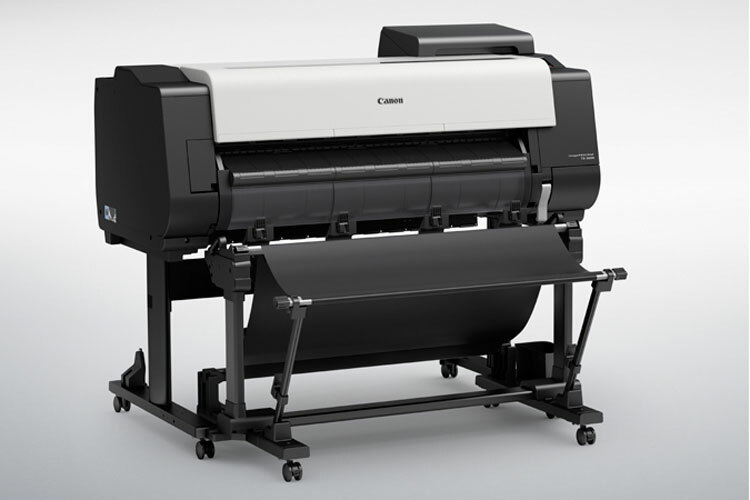 “As AEC companies look for more cost-efficient and faster printers, eQuorum sees Canon as one of the best options for large format drawings and the imagePROGRAF TX3000 is perfect for small and medium size businesses. Together we provide a robust digital file management solution with the right printing solution,” said Scott Brandt, CEO, eQuorum. ImageSite, a web browser-based document management, distribution and collaboration solution. Engine-Box.com, a Cloud-based engineering document file system for collaboration across locations and relevant parties. Plot Station – an enterprise print/plot management solution to control batch printing for an entire network. Organize and structure digital files including file formats such as DWF, DWG, CALS, TIFF, G4, CGM, DICOM and EPS. Search and find files quickly based on indexing or free-form searching. View CAD files without needing proprietary applications or downloading files first. Protect files at the project, group, user, file, and meta-data level for all functions, including downloading, deleting, printing, emailing, editing, etc. Share by email attachments, email links or multi-page PDFs more securely. Synchronize files across multiple locations and offices. Receive notifications based on event triggers, through both e-mails and internal alerts, to stay abreast of the status of a project. Mark-up files easily and make changes quickly. To enable easier installation in complex server or client server environments, there are no software downloads, Java, mobile apps or browser add-ins required, as ImageSite and Engine-Box.com are entirely HTML5-based. Solutions can be used through any web-browser and mobile access allows for off-line viewing of files. Ribbon add-ins allow users to integrate their preferred CAD program into their workflow and an intuitive Dashboard allows for easy management of files, searches and completed tasks. A queuing feature allows operators to decide how to process print jobs and where to send them. Canon’s imagePROGRAF TX Series, dubbed the “next standard of engineering” by Canon, has been completely redesigned to feature a recently developed five-Color LUCIA TD pigment ink set, print head, and a high-precision mechanical platform for fast printing for the TX Series. With an option for a second roll unit and robust security features, these printers combine the productivity, usability and document access control sought in the technical document and CAD markets including HD encryption, IPsec support, 802.1x support and enhanced password options for highly secure printing capabilities. eQuorum is a gold member of the Canon Alliance Partner Program (CAPP) for imagePROGRAF large-format solutions, an alliance network in which Canon works closely with third-party software companies to offer innovative software solutions to imagePROGRAF customers. Through CAPP, Canon is able to more easily work with industry partners to make its printing devices more flexible so that users can tailor their solution to better meet their needs. For more information about Canon’s imagePROGRAF devices and large format solutions, visit www.usa.canon.com/largeformat. Learn about the Canon Alliance Partner Program (CAPP) for imagePROGRAF Large-Format Solutions by visiting www.usa.canon.com/imageprografalliance. Information on eQuorum’s document management products can be found at www.equorum.com and www.engine-box.com.